May has nearly gone and the sun has returned! In England we have the saying – “Ne’er cast a clout till May be out”. In other words do not expect the weather to be warm until May has arrived! This year, the fifth month, May has not disappointed and we have had some lovely days. The number “5” often represents a sign of the grace of God and this month we have been so aware of God’s goodness here at Heartcry. Although we have had many hassles God has been so good to us! 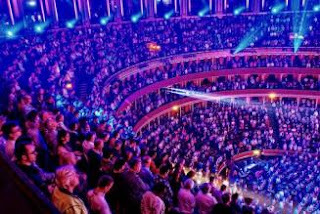 We started the month taking some time as a team to receive refreshment at the HTB Leaders Conference at the Royal Albert Hall in London. These two days were stretching as we explored the influence God is giving to the church in these days especially in the areas of theatre, media and arts. Many of the speakers, all great leaders in their spheres of life, were on varied spiritual journeys and helped us focus the way we present Jesus in our 21st century world. The privilege of worshipping with thousands in one of the large London venues was amazing. Our nations will be touched by the sound of Jesus and His church! It has also been a busy month of ministry. Helen and I travelled to Waterford, Ireland, and spoke at a conference with many friends from years ago and also a new generation of Jesus lovers in Ireland. We left with a real sense that all over the nations, even in the midst of the shaking and uncertainty, God is strengthening His church and many are being saved. The following weekend I spoke in Harrow at HICC and the evening ladies night was packed full as we explored the area of MIND GAMES. In the media recently there has been an emphasis on exploring mental health and so we examined the ways the enemy uses fear, anxiety etc to mess with our heads. Many were delivered and encouraged as we prayed. The testimonies the next day from non-Christian friends who attended were so encouraging. Then after these busy days I (Rachel) had some routine surgery on the 16th May which now requires 2-4 weeks of rest and recovery. The surgery was successful and I was speedily discharged after 3 days and I am already making a rapid recovery. God has been so good! So now Helen has stepped into the gap and been busy on the road. 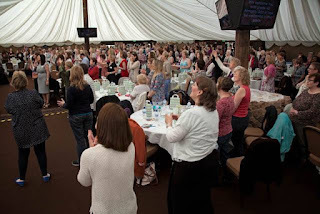 Helen writes: Last weekend I was able to cover a speaking engagement for Rachel and what a joy it was: the venue was a conference facility at West Midlands Safari Park! Around 330 ladies arrived for a day to explore the theme “Deeper still” and we were able to minister prophetically and pastorally to many needs as the ladies engaged with Jesus and allowed Him to bring them into a safe and still place of deep refreshment as well as show them deeper perspectives on their circumstances and what He is doing in the nations. So often we are overwhelmed by life’s challenges but as we hear the stories of God’s amazing intervention in the lives of ordinary people just like us, our fears are dispelled. It is so precious when women come together to encourage one another. I have also spent some time helping with the final corrections and editing of Rachel’s brand new book which will be out this summer in the UK and in early fall in the USA. Watch this space for more details next month along with the launch date and make sure you get your copy! This coming month Rachel and I are not quite as busy on the road as usual as we have had to ensure that we pace the travel and give Rachel some home rest and recovery time. However, this is ideal time to write and research…and also to celebrate God’s goodness. Rachel and I will be marking 10 years of working together in June and I would like to take this opportunity to honour her for her investment into me, her friendship and her example. I know I speak for many of you too – our lives are richer for knowing Rachel and we are thankful to God for her many gifts and her ministry. Thank you, Rachel! A final word from Rachel: We do so appreciate your love, prayer and support. You are amazing friends. Thank you for the flowers, cards and words from those of you who knew about the surgery – they have been special and I feel loved! Please continue to pray for us, especially against little foxes that spoil the peace and efficiency of what we do! This month all of us have had car issues and my car is still being sorted and repaired. The timing has been great as I am not allowed to drive but still the expense and hassle have been annoying. There have just been lots of little issues with technical equipment which have taken time and money to sort and we would love this to stop so we’d appreciate your prayer! Thank you so much amazing people!